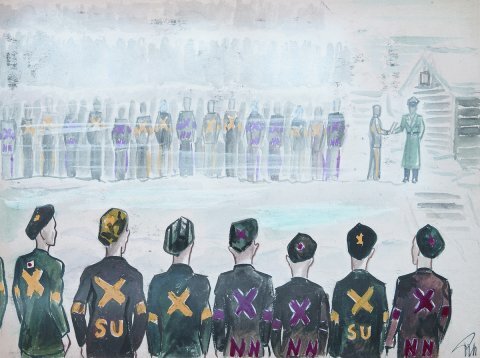 French Government webpage in English about the NN decree, illustrations by survivors, the museum at Natzweiler, more! 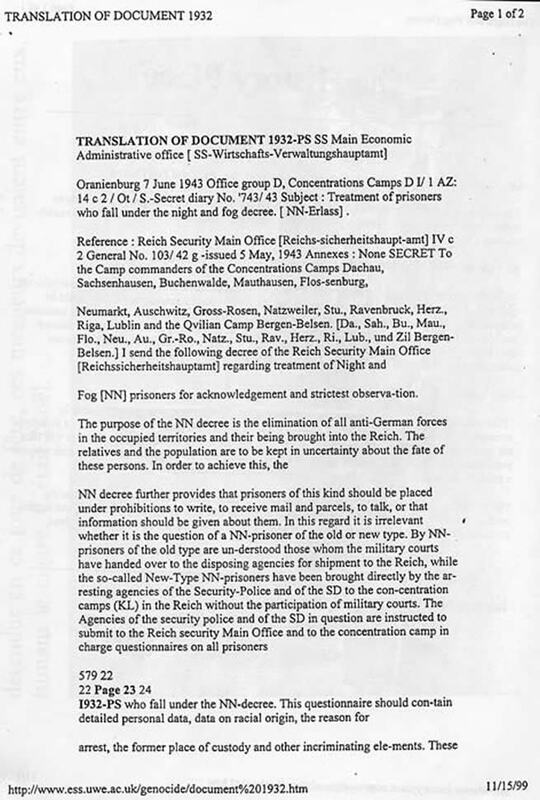 In the US, too little is known of the KLNa/Konzentrationslager Natzweiler-Struthof, and the Nacht und Nebel decree. 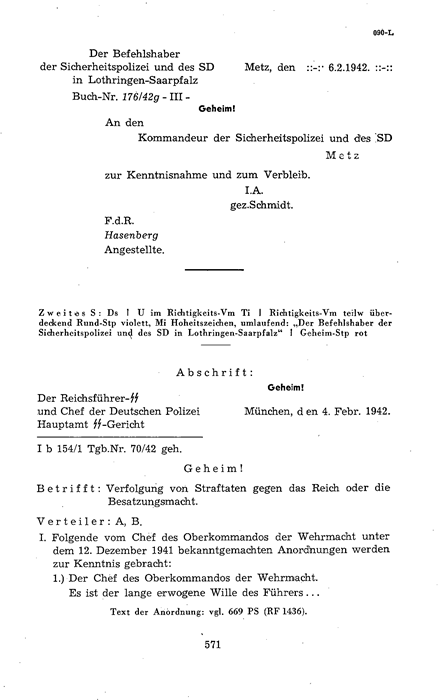 The Night and Fog decree at first put many, then most political prisoners condemned under it into the KLNa, the only Category III concentration camp in France (although in Alsace, which was annexed by the Germans after the occupation.) 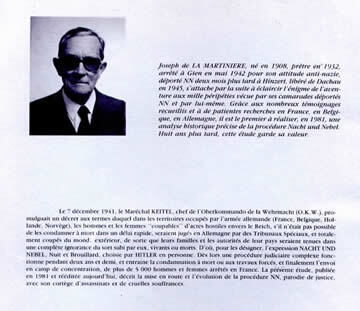 An excellent source is the book by Joseph de la Martinière, Les N.N. 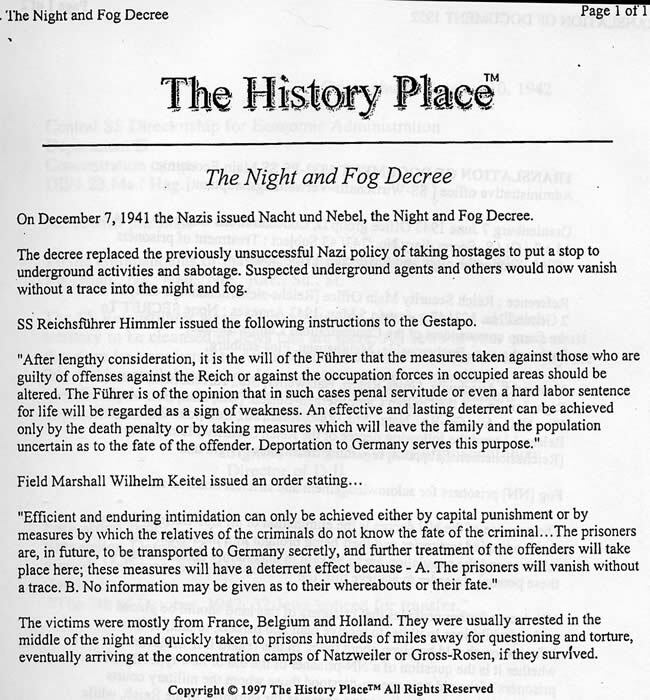 Le Décret et la Procedure Nacht und Nebel (Nuit et Brouillard). 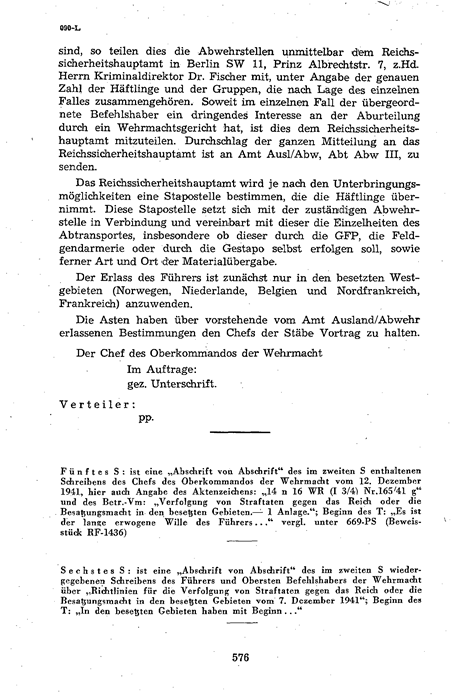 The Nacht und Nebel decree was the brainchild of Hitler, who latched onto the curse from Wagner’s Das Rheingold. In a meeting with his top commanders to address the resurgence of resistance boosted by communist cells reconstituted in the occupied territories after the invasion of Russia, Hitler launched this phrase as a model of punishment that would be more effective than public executions. 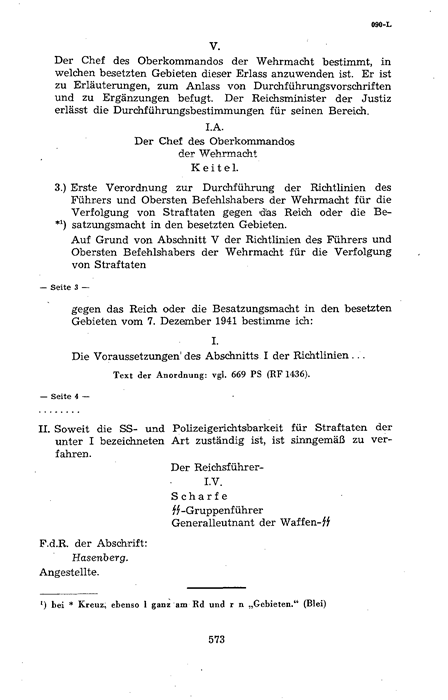 The result, as formulated by Marshall Keitel, Chief of the Oberkommando for the Wehrmacht (O. K. W.) was far from frivolous, as its beginnings might imply: resistors and saboteurs were swept away into oblivion in the concentration camps without being heard from again. 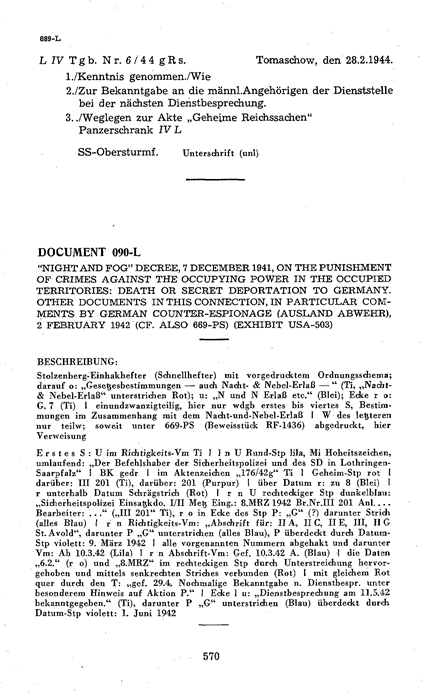 Keitel was condemned to death at Nuremburg for this crime against humanity. among others. Joseph de la Martinière’s painstakingly detailed study, Les N.N. 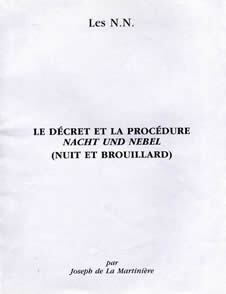 Le Décret et la procédure Nacht und Nebel ( Nuit et Brouillard), published by the Fédération Nationale des Deportés et Internés Résistants et Patriotes in 1989 documents the procedure for 5,000 NN prisoners from France, and thousands more from Belgium, Holland, and Norway. The term ‘enforced disappearances’ (desapararición forzada) was introduced by Latin American NGOs to encapsulate a phenomenon that occurred in South America in the second half of the 20th century. For some authors this term is ‘a euphemism’ for describing a series of severe human rights violations. 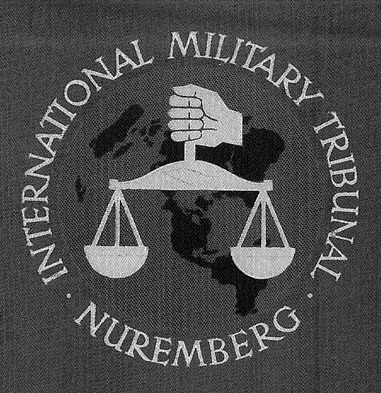 Moreover, enforced disappearances are considered a recent addition to the human rights agenda, and it has attracted global concern principally because of the large number of victims. 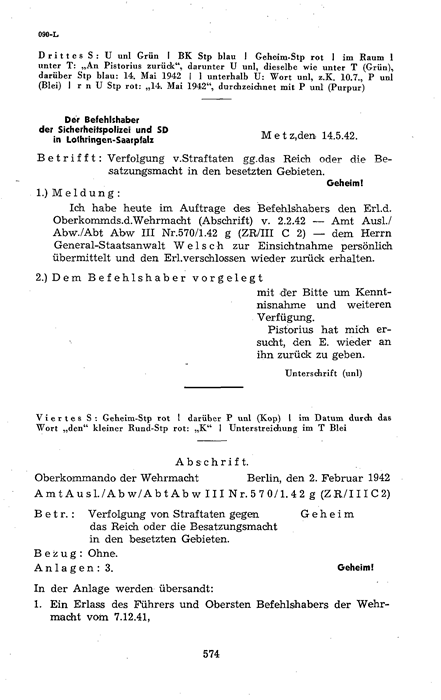 Enforced disappearances were recorded for the first time during World War II, when thousands were disappeared due to the policy of the ‘Night and Fog Decree’ (known as the ‘Keitel Order’). 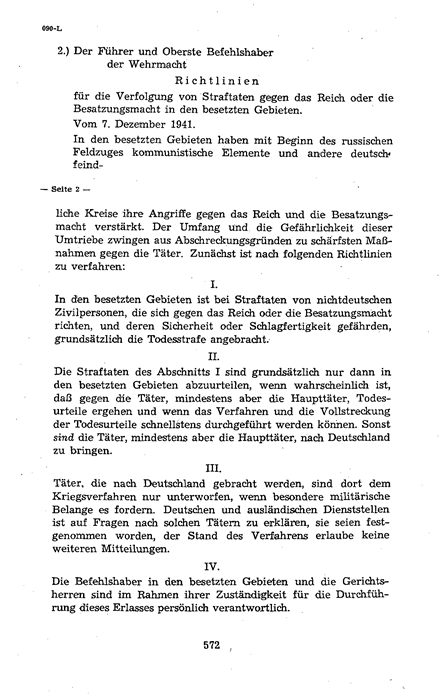 In that case, Adolf Hitler ordered the transfer of people who were deemed dangerous for the security of the Third Reich to the concentration camps in Germany. 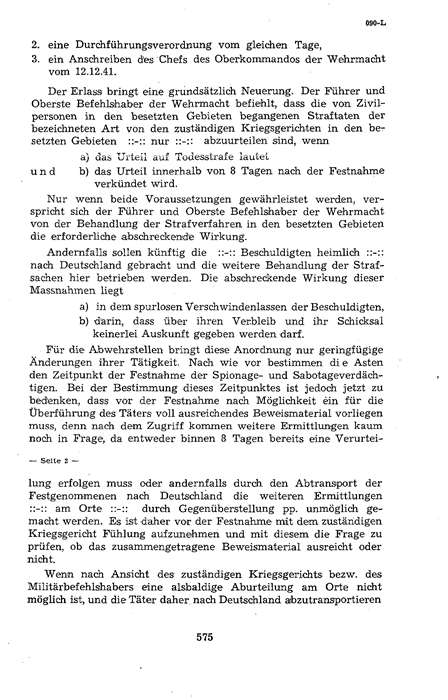 Vanishing without leaving a trace and providing information was thought to be an appropriate measure for the intimidation of the potential enemies of the Reich.